I watched this recipe make the rounds on the internet and just knew I needed to try it, and I am so glad I did! This roast beef is the easiest thing you will ever make and it is so incredibly good- it’s a regular at our house now. 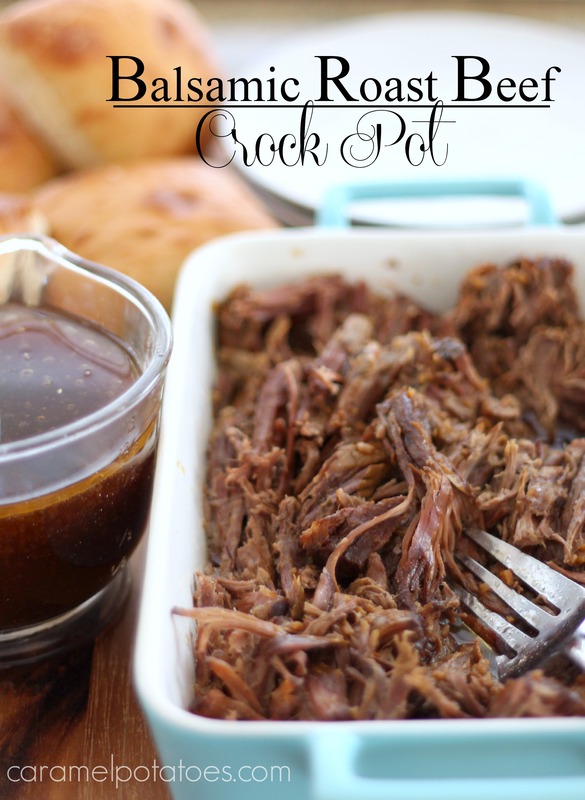 Just put your roast in the crock pot, stir together a few ingredients, pour it over the top, and let the crock work it’s magic. The end result is moist and flavorful beef that you can’t resist. 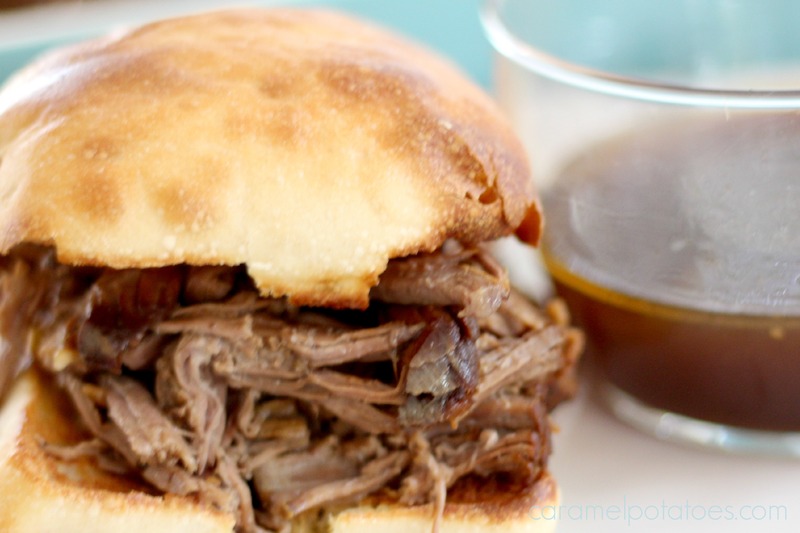 Serve it with potatoes and your usual sides, or our favorite is to toast up Ciabatta Rolls and make french dips. The meat is perfect, and the juice is already in the pan – easy, easy! Once roast beef has cooked, remove from slow cooker with tongs into a serving dish. Break apart lightly with two forks and then ladle about ¼ – ½ cup of sauce over roast beef. Toast 6-8 ciabatta or sub rolls. Top rolls with roast beef. Pour remaining sauce into individual dipping bowls. I’m just curious…have you ever cooked with antelope? I have an antelope roast and wondered if I followed this recipe if it would work out alright? Any thoughts?